Running is probably one of the oldest type of exercises of all. During the caveman period, people ran to hunt and to survive. Ancient Greece and its Battle of Marathon had a soldier by the name of Pheidippides, he was instructed to run to Sparta to inform the Greeks of the Persians. This fabled story of a runner gave rise to the modern Olympics. Running itself is a start for more action. I find that the running helps me detach from something that may be bugging me. The running makes me tired and but my mind is refreshed so I'm able to think things differently. Sometimes certain things in life may weigh me down but the running helps me lighten the load. 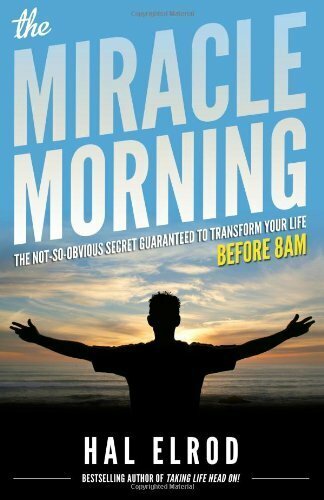 Hal Elrond is a motivational speaker and the author behind his book, "Miracle Morning". In it, he mentions how during one of his low points in his life, a friend had recommended he try running to clear his head. From that one suggestion, he started creating a new morning routine for himself and started shifting his paradigms and perceptions of life. The Midnight Mission Running Club is located in downtown Los Angeles. They run three times a week, 10 to 15 runners meet at 5:45am and jog through the streets of LA. What makes this group special is most of these runners are recovering addicts or homeless. Some of the runners in the group have mentioned that the running has helped give him a larger perspective of the world. One of the goals is to eventually help build character and help the participants regain self sufficiency. Running can actually decrease unhappiness. It can also be called the "runner's high". It is the result of hormones called endocannabinoids that helps create that good feeling after the run. A 2006 study from the Medicine and Science in Sports and Exercise discovered that a single 30 minutes running can instantly lift the mood of someone suffering from a major depressive order. This makes running a good alternative to treating depression. For me, running helps me clear my head when I'm mentally stuck. The running part forces me to take a breather from whatever it is I'm doing or thinking, and makes me focus just on running. After the run, I generally see things in a different light and whatever it is that was bugging me I realize it wasn't that big of a deal anyway. In a way I have grown to appreciate running is a part of my "Me" time. Work can sometimes be stressful with all the tight deadlines, meeting customer expectations, or trying to deal with the manager's tasks. But one thing that no one can take away from me, is my running. When it comes to running, I'm competing against myself, it is a bit of a mental battle, I set the pace, I set the tone. I find the indirect benefits of running is that it helps build character. To consistently be running, runners need to maintain a constant schedule and create good habits. I find people who run for a long time become more organized in their lives. Through running, as the runner becomes stronger and faster, a new mental attitude is developed. This slowly filters down to other aspects of people's lives. People become mentally tougher for it and slowly sets more goals for themselves. People also feel more confident as they gain more control of their busy lives. Also, looking good and fit also doesn't hurt in increasing confidence. There is a reason why there are more and more runners today. Even the number of races to take part in have increased in recent years. In the last couple years, there have been participants who are over 100 years old participating in marathon runs. If one day running is in the cards for you, start with baby steps and run only for about five minutes. Keep in mind that when you are running, you are not trying to run as fast as you can. Rather, you are running at a pace that you can maintain for as long as possible.